My Daily Schedule--or How I Finish Almost ALL Threads on the Same Day!! There is a method to my madness--and no I don't write down a schedule--it is by this time embedded in my brain, so much so that if I deviate a bit I can get all confluffled (not a real word but accurately describes what happens)!! First: I update my What's Up With Miki's Hope with any new giveaways or book reviews. I also delete those giveaways that ended the day before. Second: I go into facebook and add any book or other reviews to comment groups. I do try but I don't always get those threads finished until the next day--hey I'm human!! Third: I go through all the prior days threads and the threads that people have put links in and like, tweet, plus them. 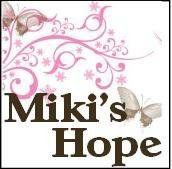 Fourth: Back to What's up at Miki's Hope. I pull up MY Google, Twitter and Facebook. I enter all the posts I will be promoting for that day on all three of them. Fifth: Back to facebook. It is now pretty easy to get what I want promoted in ALL the threads where I participate. Any that have snuck in before I do this--get tweeted, liked, plused. As a result--all entries before mine are completed!! Sixth: If I have done a book review--I post the review portion only on Amazon, B&N and Goodreads--then tell whichever Author that it is done. 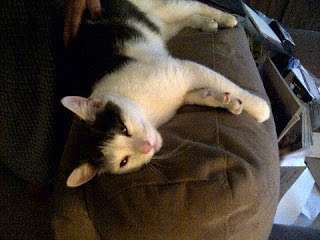 Seventh: Back to sleep for a while!! Remember that my cat, Baby, deems it necessary that I get up and feed her somewhere between midnight and 2 AM!! Eighth: Wake up again and attempt to put my giveaways in others linkys--I sometimes fall short with this task as well!! Throughout the rest of the day, in-between working at my bookkeeping clients or taking my Mom to wherever she needs to go, or reading a book that I will be reviewing-I try to go through all the threads so that when Baby starts to NUDGE me that it is bedtime--I am pretty much finished!!!!!! Are you sure your human and not superhuman? lol You get a lot done. I still haven't made it to getting all the options in one group done. I will though. I appreciate you telling us your secrets perhaps I should try a few! Your day sounds VERY similar to mine! I keep a spreadsheet with all my to-do tasks, otherwise I'd never keep up! OMG! You certainly are busy and to do it without a physical tracking system...well I tip my hat off to you Ms Superman!! I keep all my stuff in a draft folder and refer to it often - memory is starting to go ~ lol! She who must be obey is very cute! I do adore working by a schedule - makes things much easier! A lot of people don't realize how many tasks we juggle on our schedules. It sounds like you have a great system in place to stay organized.